Yesterday, according to the media reports, in Dali County of Shaanxi, a three years old little girl, collars get caught when play the slides in the kindergarten, never thought this collar similar to the long scarf and slides together killed the little girl. With the arrival of winter, the Nanjing Morning Post reporter visits found that such danger not only occur in children, in fact, including adults. At 14:30 on December 11 or so, Dali County, Chaoyang village under Zhaizhen cherubs kindergarten kids ended the class rests prepared for the next class, but they noticed the three-year-old little girl was gone, the teacher find it strange, went to the playground to look for the little girl, only saw the little girl lying on the slide, her head collars are tangled up. The little girl was taken to the house, are dying. After hearing, the rural doctor Mr. Zhang went there and did the artificial respiration, while the teachers called 120 to contact the large hospital." Zhang said. I did not expect a similar scarf and slides together, can kill the little girl. 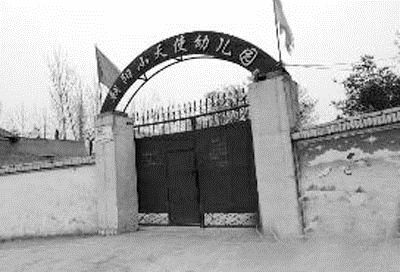 Dali County Board of Education investigation team launched an investigation into this incident, revoked someone qualified nursery office park, ordered to suspend business for rectification. 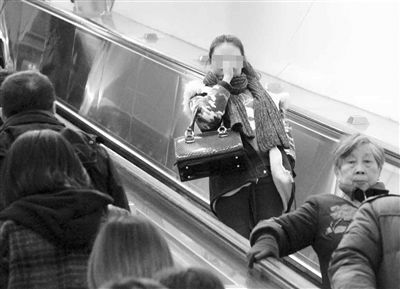 At 8:30 on December 17, 2012 or so, in Nanjing Xinjiekou subway station, when a girl ride the escalators, elevators clamped the scarf with one end suddenly, nearly causing an accident. In early December of this year, Handan, a 10-year-old girl riding an electric car, a long scarf caught in the wheel, causing the girl shoved Le spine fracture, faces a paraplegic. October 2012, in Suzhou city an old man’s scarf caught in the wheel while ride a tricycle, causing the old man died of suffocation. The reporter did a small survey in the street, 10 people wearing scarves, six people with the long scarf, some even close to the legs. The question is do you know the hidden danger from the long scarf?" only three of 10 people said they know the long scarf could be a security risk," and the remaining seven all said "do not know". Long scarf around your neck is actually very prone to accidents. Cycling when the wind blows, the scarf is easily roll into the wheel, and take a taxi or bus, if the scarf is too long, take it off when the door is also likely to be caught, dangerous. In this regard, the police reminded the public, must pay attention to scarves, scarf length, not too long, not too tight. 1. Parents could help their children put the long scarf around the neck a few times or choose the infinity scarves. 2. Whether drive yourself or take other people's vehicles, especially electric bicycles, often facing the strong breeze, be sure to tuck the long scarf into your clothes. 3. Do not tie a scarf knot killed, appears difficult to solve once the danger down. 4.Unlock the scarf at the first time when face the accidents.